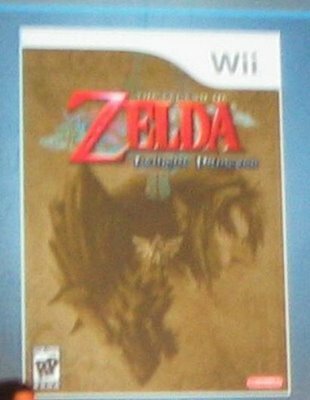 NintenGen: Actual The Legend Of Zelda: Twilight Princess box art? Actual The Legend Of Zelda: Twilight Princess box art? Sorry I don't have a link, but I found this on the Nintendo of Amercia forums yesterday and didn't have time to post it at that time. Looks real but I doubt that it will be the final case picture for the game. It seems the "Wii" on the top is going to be how it really looks for the DVD cases for the games. "Sorry I don't have a link"
Was that Zelda pun intentional? Na I just really didn't have a link to the post.